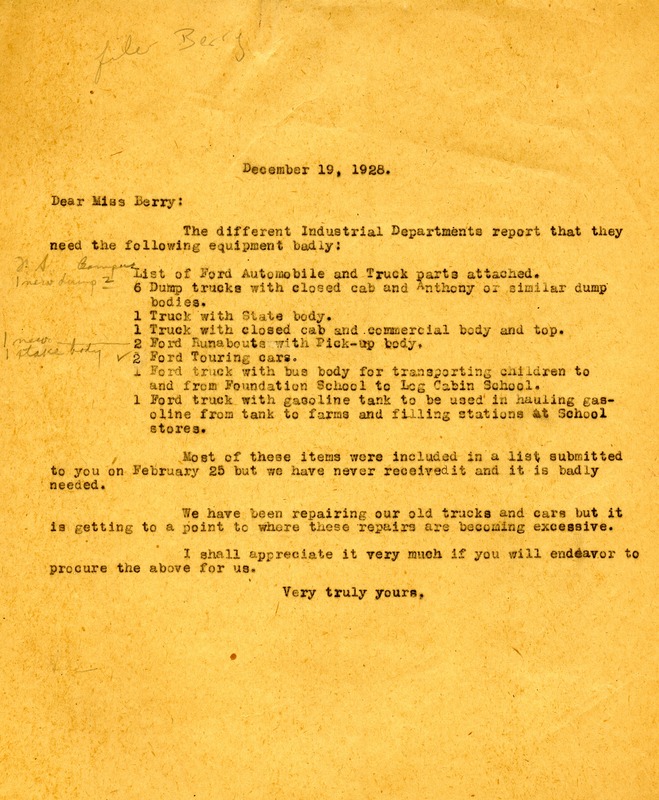 The Berry Schools sends a letter to Miss Berry about equipment the Industrial Dept. needs. The Berry Schools, “Letter to Miss Martha Berry from The Berry Schools.” Martha Berry Digital Archive. Eds. Schlitz, Stephanie A., Meg Ratliff, Rachel Renaud, et al. Mount Berry: Berry College, 2012. accessed April 26, 2019, https://mbda.berry.edu/items/show/6690.